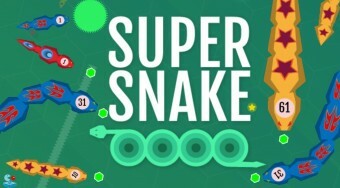 Do you like Supersnake.io? Share it with your friends. Supersnake.io - move with your snake around the game board, enlarge your size by feeding yourself on colored pentagons and get rid of smaller snakes of other players.